Kino Flo Lighting Systems has added another layer of light control refinement with a pair of new softbox products tailor-made for Select LED, Diva-Lite LED and Celeb LED fixtures. DoPchoice® of Munich has created the Snapbag and the Snapgrid light controls that mount snuggly and easily on Kino Flo's portable LED softlights. No special mounting rings or extra mounting accessories are required. 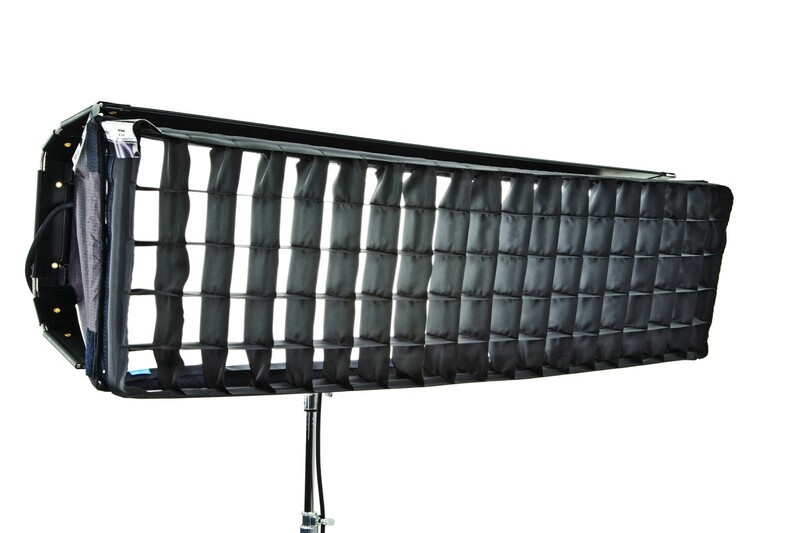 The Snapgrid louver, a featherweight fabric butterfly, attaches to the front of the Snapbag with Velcro to control the spread of light without black flags or cutters. The award-winning DoPchoice softboxes and fabric grids earn kudos from gaffers and cinematographers for their compact, portable and durable designs. The Snapbag and Snapgrid for Select LED’s, Diva-Lite LED’s and Celeb LED's are ideal for lighting up to 8ft by 8ft of set space.